In E. B. White: The Emergence of an Essayist, Robert Root traces the literary career of the best-known and most widely admired American essayist of the twentieth century. Root explores the milieu in which White began writing the "Notes and Comments" section of The New Yorker and puts into perspective the influence of popular "colyumists" like Don Marquis and Christopher Morley on the tone and form of White's work as a "paragrapher." He examines White's persistent disaffection with the demands and limitations inherent in his "Comment" pieces for The New Yorker and his experiences as a columnist for Harper's Magazine, where his "One Man's Meat" feature produced his most enduring essay, "Once More to the Lake," and took the segmented column form to new levels of accomplishment. Drawing on White's manuscripts, Root's literary analysis of early drafts demonstrates how unique White's essays were. E. B. 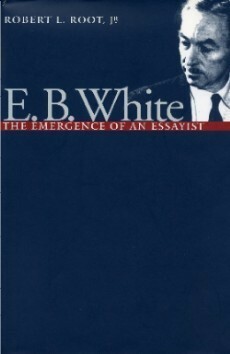 White greatly expanded the limits of literary nonfiction and in the process introduced elements and methods that helped produce the contemporary segmented or disjunctive essay. From Root's research we receive new insights into the process by which White created his essays and how he was influenced--and often constrained--by particular literary forms and by the limitations of the circumstances in which he wrote them. White was famous for his habit of "writing by ear," and he believed in "writing a thing first and thinking about it afterward," work habits that led to some of the most memorable American literary essays of the twentieth century. 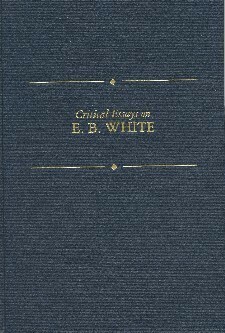 A collection of articles, essays, and reviews on E. B. White’s writing, critical assessments of his career, and a biographical introduction. 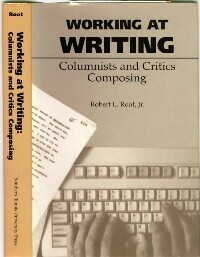 An overview of the writing habits of nonfiction writers, a series of interviews, and an anthology of the work discussed in the interviews by political columnists Tom Wicker and Richard Reeves, essayists Jim Fitzgerald and Kathleen Stocking, film critics David Denby and Neil Gabler, and theater critic Walter Kerr.